Episode 43: There Goes The Son? My guest is Glenn Stallsmith. Glenn is a pastor who serves two United Methodist Churches in rural North Carolina. He's also a ThD student at Duke Divinity School. 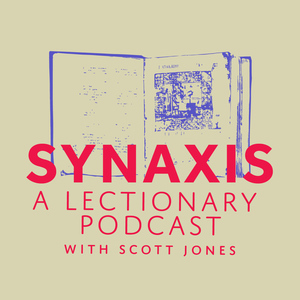 We discuss the Lectionary texts for the Seventh Sunday of Easter (B): Acts 1:15-17, 21-26; 1 John 5:9-13 and John 17:6-19. 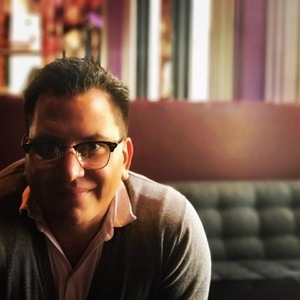 My guest is Scott Hoezee. Scott is an ordained pastor in the Christian Reformed Church in North America. He serves as the first Director of the Center for Excellence in Preaching at Calvin Seminary. We discuss the Lectionary readings for the Sixth Sunday of Easter (B): Acts 10:44-48, 1 John 5:1-6 and John 15:9-17. My guest is Greg Strawbridge, CREC pastor, podcaster and author. We discuss the lectionary passages for the Fifth Sunday of Easter (B): Acts 8:26-40, 1 John 4:7-21 and John 15:1-8. My guest is Glenn Stallsmith. Glenn is a pastor who serves two United Methodist Churches in rural North Carolina. He's also a ThD student at Duke Divinity School. We discuss the Lectionary texts for the Fourth Sunday of Easter (B): Acts 4:5-12, 1 John 3:16-24 and John 10:11-18. My guest is Mandy Smith. She's the lead pastor of the University Christian Church in Cincinnati, OH. We discuss the lectionary passages for Christ the King Sunday: Acts 3:12-19, 1 John 3:1-7 and Luke 24:36b-48. My guest is the Rev. Porter Case Taylor. Porter is an Anglican priest residing in Kansas with his wife, Rebecca, and their three sons. He is a PhD student at the University of Aberdeen working on a dissertation on liturgical theology and agency in worship. We discuss the Lectionary texts for the Second Sunday of Easter (B): Acts 4:32-35, 1 John 1:1-2:2 and John 20:19-31. Episode 37: He is Risen, He is Risen Indeed! My guest is Jady Koch. Jady is the Rector at St. Francis in the Fields Church in Louisville, Kentucky. We discuss the Lectionary readings for Easter Sunday (B): Isaiah 25:6-9, 1 Corinthians 15:1-11 and Mark 16:1-8. My guest is Adam Morton. Adam is a Lutheran pastor and he's also doing doctoral work in Systematic Theology in the United Kingdom. We discuss the Lectionary texts for Palm Sunday (B): Isaiah 50:4-9a, Philippians 2:5-11 and Mark 11:1-11. My guest is Glenn Stallsmith. Glenn is a pastor who serves two United Methodist Churches in rural North Carolina. He's also a ThD student at Duke Divinity School. We discuss the Lectionary texts for the Fifth Sunday of Lent (B): Jeremiah 31:31-34, Hebrews 5:5-10 and John 12:20-33. My guest is Jady Koch. Jady is the Rector at St. Francis in the Fields Church in Louisville, Kentucky. We discuss the Lectionary readings for the Fourth Sunday in Lent (B): Numbers 21:4-9, Ephesians 2:1-10 and John 3:14-21. My guest is Taylor Mertins. Taylor is a United Methodist pastor in Woodbridge, Virginia, having earned degrees from James Madison University and Duke Divinity School. We discuss the Lectionary readings for the Third Sunday in Lent (B): Exodus 20:1-17, 1 Corinthians 1:18-25 and John 2:13-22. My guest is Matthew Mitchell. He is co-pastor of New City Church, a church plant in Chesapeake, VA. He is married to Hannah, and together they have 6 children. We talked about the Lectionary texts for the First Sunday in Lent (B): Genesis 9:8-17, 1 Peter 3:18-22 and Mark 1:9-15. My guest is Glenn Stallsmith. Glenn is a pastor who serves two United Methodist Churches in rural North Carolina. He's also a ThD student at Duke Divinity School. We discuss the Lectionary texts for the Fifth Sunday after Epiphany (B): Isaiah 40:21-31, 1 Corinthians 9:16-23 and Mark 1:29-39.